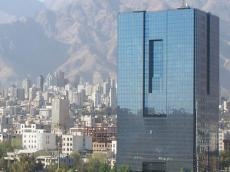 The Governor of Central Bank of Iran has announced the official launch of the Special Trade and Finance Institute (STFI) in the country, a mechanism similar to the EU’s INSTEX trade channel. "This institute can cooperate with its European counterpart to facilitate trade between Iran and Europe and resolve the limitations that are caused by the US sanctions," said CBI governor Abdolnasser Hemmati, Trend reports citing IRNA. "The people of Iran expect to see the mechanism operates as soon as possible and establishing this STFI is an important step by Iran to hasten the process," he added. Hemmati said that Iran's banking network and the Central Bank of Iran are using all the solutions to meet the needs of business companies and the financial mechanism is one of them. The official expressed hope that Iran would have positive role in the mechanism in the current Iranian year (started March 21,2019). "The Iranian mechanism has been established with $238,000 and the volume of financial resources for STFI would increase according to its needs," he added. On Jan. 31, three European countries – France, Germany and the UK (shortened as E3) – officially announced the creation of the Instrument in Support of Trade Exchanges (INSTEX), a special purpose vehicle, to allow them bypass US sanctions on trade with Iran. INSTEX facilitates non-dollar trade with Iran, allowing European companies to trade with the Islamic Republic without being hit by the sanctions.